Of course, both vulnerabilities from the server-side and the client-side are indispensable in a perfect penetration test. Sometimes, in order to take over the server more elegantly, it also need some client-side vulnerabilities to do the trick. But speaking of finding vulnerabilities, I prefer to find server-side vulnerabilities first. With the growing popularity of Facebook around the world, I’ve always been interested in testing the security of Facebook. Luckily, in 2012, Facebook launched the Bug Bounty Program, which even motivated me to give it a shot. What can I find by Google Hacking? How many B Class IP addresses are used? How many C Class IPs? What are their preferred techniques and equipment vendors? Any data breach on Github or Pastebin? Of course, Bug Bounty is nothing about firing random attacks without restrictions. By comparing your findings with the permitted actions set forth by Bug Bounty, the overlapping part will be the part worth trying. For most enterprises, “Network Boundary” is a rather difficult part to take care of. When the scale of a company has grown large, there are tens of thousands of routers, servers, computers for the MIS to handle, it’s impossible to build up a perfect mechanism of protection. Security attacks can only be defended with general rules, but a successful attack only needs a tiny weak spot. That’s why luck is often on the attacker’s side: a vulnerable server on the “border” is enough to grant a ticket to the internal network! Lack of awareness in “Networking Equipment” protection. Most networking equipment doesn’t offer delicate SHELL controls and can only be configured on the user interface. Oftentimes the protection of these devices is built on the Network Layer. However, users might not even notice if these devices were compromised by 0-Day or 1-Day attacks. WOW. When I accessed vpn.tfbnw.net there’s the Juniper SSL VPN login interface. But its version seemed to be quite new and there was no vulnerability can be directly exploited…nevertheless, it brought up the beginning of the following story. From the info of these servers, I thought that these C Class IPs were relatively important for Facebook. Now, the whole story officially starts here. I found a special server among these C Class IPs. FTA is a product which enables secure file transfer, online file sharing and syncing, as well as integration with Single Sign-on mechanisms including AD, LDAP and Kerberos. The Enterprise version even supports SSL VPN service. Whether this vulnerability is exploitable can be determined by the version information leaked from “/tws/getStatus”. At the time I discovered files.fb.com the defective v0.18 has already been updated to v0.20. But from the fragments of source code mentioned in the Advisory, I felt that with such coding style there should still be security issues remained in FTA if I kept looking. Therefore, I began to look for 0-Day vulnerabilities on FTA products! Actually, from black-box testing, I didn’t find any possible vulnerabilities, and I had to try white-box testing. After gathering the source codes of previous versions FTA from several resources I could finally proceed with my research! And the vulnerabilities which needed to be triggered were not easy to exploit. Therefore I need to look deeper! 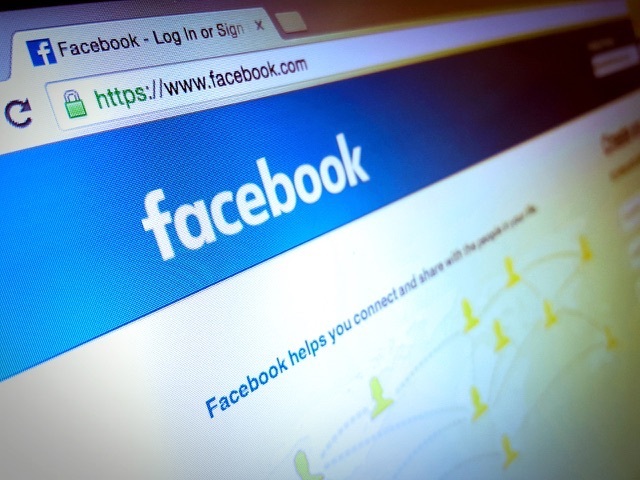 Apart from reporting to Facebook Security Team, other vulnerabilities were submitted to Accellion Support Team in Advisory for their reference. After vendor patched, I also sent these to CERT/CC and they assigned 4 CVEs for these vulnerabilities. More details will be published after full disclosure policy! Although the outbound connection was not available, but it looked like ICMP Tunnel was working. Nevertheless, this was only a Bug Bounty Program, we could simply control the server with a webshell. While collecting vulnerability details and evidences for reporting to Facebook, I found some strange things on web log. These error messages seemed to be caused by modifying codes online? I followed the PHP paths in error messages and ended up with discovering suspicious WEBSHELL files left by previous “visitors”. In include_once “sclient_user_class_standard.inc.orig” was the original PHP app for password verification, and the hacker created a proxy in between to log GET, POST, COOKIE values while some important operations were under way. Reusing existing connection to mail.thefacebook.com:443. Resolving svn.thefacebook.com... failed: Name or service not known. Resolving sb-dev.thefacebook.com... failed: Name or service not known. The time July incident happened to take place right before the announcement of CVE-2015-2857 exploit. Whether it was an invasion of 1-day exploitation or unknown 0-day ones were left in question. 2016/02/13 Asking if there anything I should pay special attention to in blog post ? 2016/02/13 Asking Is this vulnerability be classify as a RCE or SQL Injection ? 2016/02/18 Receive response from Reginaldo about there is a forensics investigation, Would you be able to hold your blog post until this process is complete? 2016/02/24 Receive response from Hai about the bounty will include in March payments cycle.